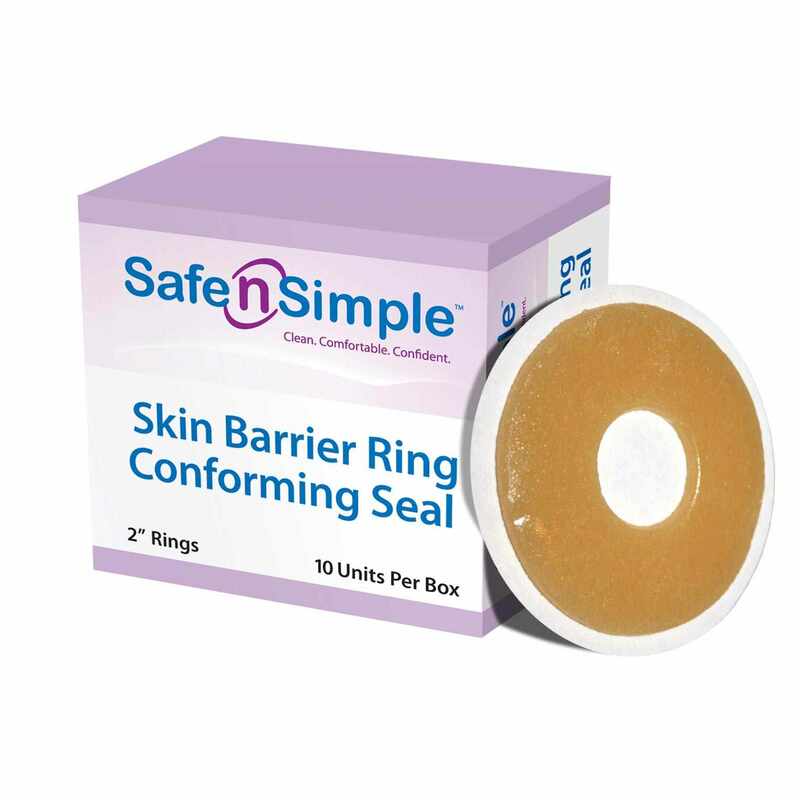 Safe N Simple Conforming Skin Barrier Rings with Adhesive Seals, are ideal for any type of ostomy. It will create a secure seal at the base of the stoma and is highly absorbent. These rings Hold Up Better, promoting longer pouch wear time and do not leave a mess when removed from the skin. They are conformable and stretchable with a strong tack and require no cutting. Great for replacing paste. High Tact - Good Adhesion. Stretchable - Easy to Mold. Prevents Leaks - Hugs Stoma. Durable - Does Not Melt Down. High Absorbency - Turtlenecks for Ideal Fit.